TORONTO (CNS) -- A third of Canada's Christian architecture, some 9,000 churches, will close in the next 10 years, according to the National Trust for Canada. "It's definitely going to be a bad thing," architect Roberto Chiotti told The Catholic Register. "You know, it's our theology in stone." Robert Pajot of the National Trust is more or less resigned to the fact that a lot of Canada's buildings with crosses on them are becoming surplus to the needs of society. "Yes, we're going to lose some. Yes, some may be commercial, some may go to condos," he said. 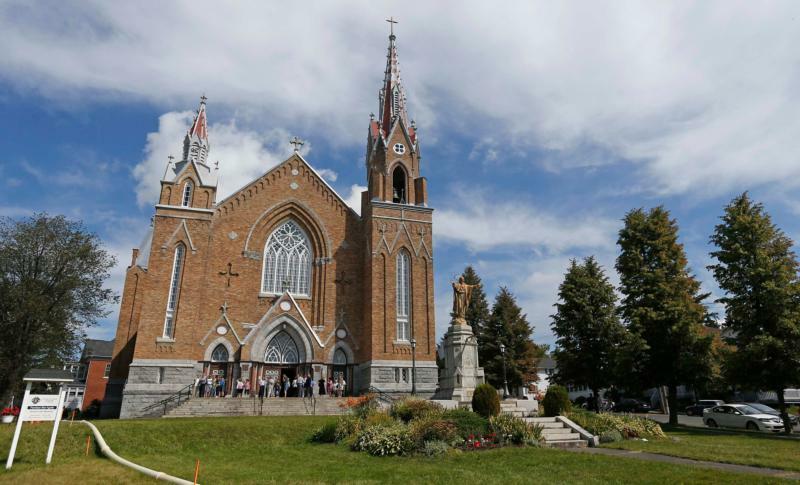 That's a stark contrast to rural and small-town Nova Scotia, where the Diocese of Antigonish has already closed 30 percent of its churches over the last dozen years. Father Don MacGillivray, diocesan spokesman, expects more closures are coming. "I'm not a demographer by any stretch of the imagination, but you know people have to mostly leave for work," he said. "My philosophy always is, we need to do this in an orderly fashion where we can be pro-active rather than be up against the wall and have to be reactive," he said. "Do you let a place go to the point where they (parishioners) just can't support it anymore? Or do you try to plan?" In places like Antigonish, it is not just the declining number of parishioners or their ability to pay for the repairs and maintenance an old church requires. There's also a dwindling number of priests. However, Father MacGillivray disputes the idea that a priest shortage is driving decisions to amalgamate parishes and close churches. "I think it can be argued we don't have a shortage of personnel. We have an overabundance of infrastructure," he said. "We just didn't need that many buildings," Father MacGillivray said. Catholics have not been beating a path to Fry's door because canon law and Catholic culture make it difficult to imagine a Catholic parish as part of a shared-use building. The Vatican's view is that if the community, the state or the local tourism industry wants to preserve buildings for their historical and heritage value, they must find ways to pay for them. In Canada, Quebec is the only province doing that, with its Conseil du patrimoine religieux du Quebec. Each year the fund pays to renovate and restore churches across the province. Bishops and pastors often see a heritage designation as a disaster for an old church. It means a municipality or province that will pay nothing for a building's upkeep can dictate renovations and impose restrictions that may chase away possible buyers and depress the price of the real estate. why not make them available for homeless people? then the church could work with the state instead of against it in a cooperative venture for the mutual benefit of its citizens--a win/win solution? Many catholic churches in Quebec are huge aging buildings, with leaking roofs and damaged masonry. Repairs are costly, so is heating in the winter. There are limits to what you can convert them into! This article also appeared in print, under the headline "Canada confronts loss of thousands of Christian places of worship," in the April 15, 2019 issue.